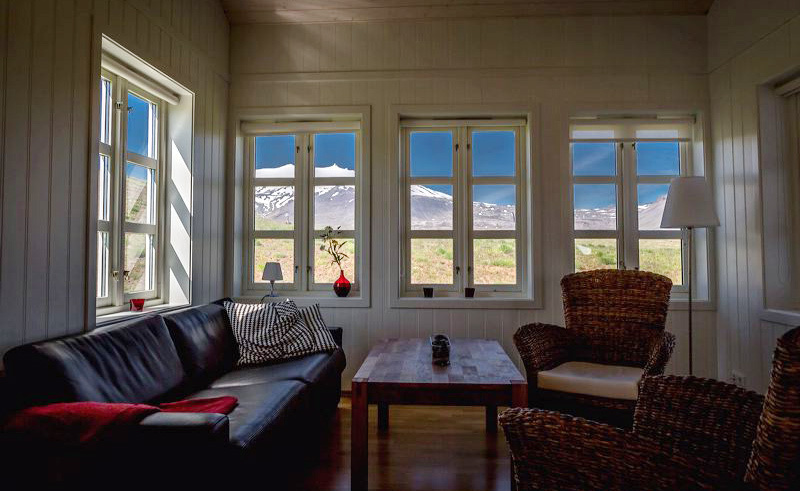 Located in a spectacular rural location near to Hellnar, Glacier Lodge offers magnificent views of Snaefellsjokull to the north and a panorama across Faxafloi bay to the south. 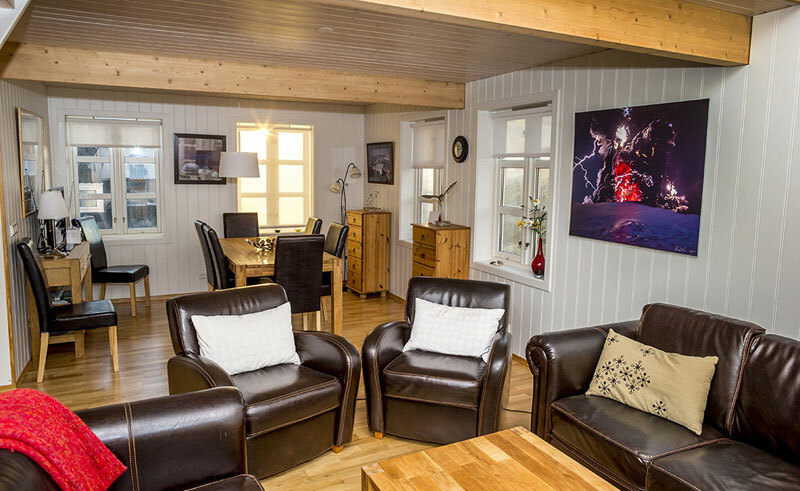 One of a small group of similar properties, this is a modern self catering cottage just two hours from Reykjavik. 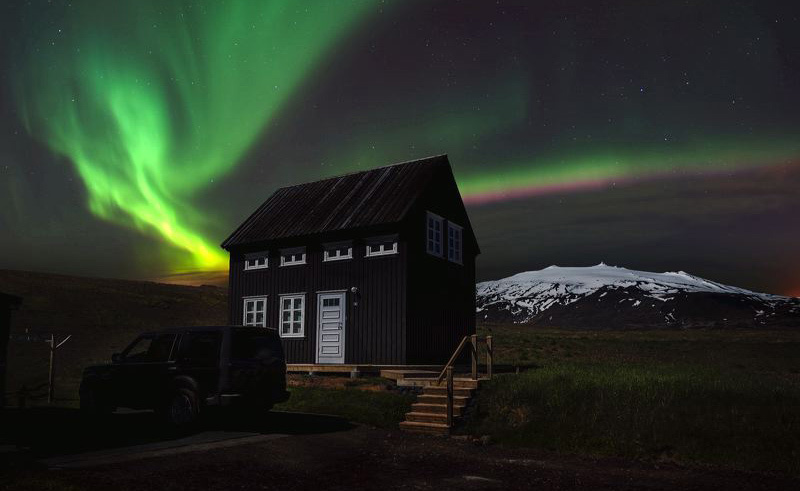 This home away from home is the perfect base from which to explore Iceland’s celebrated Snaefellsnes Peninsula and with vast light pollution-free skies, Glacier lodge is in an excellent position to watch displays of the northern lights. 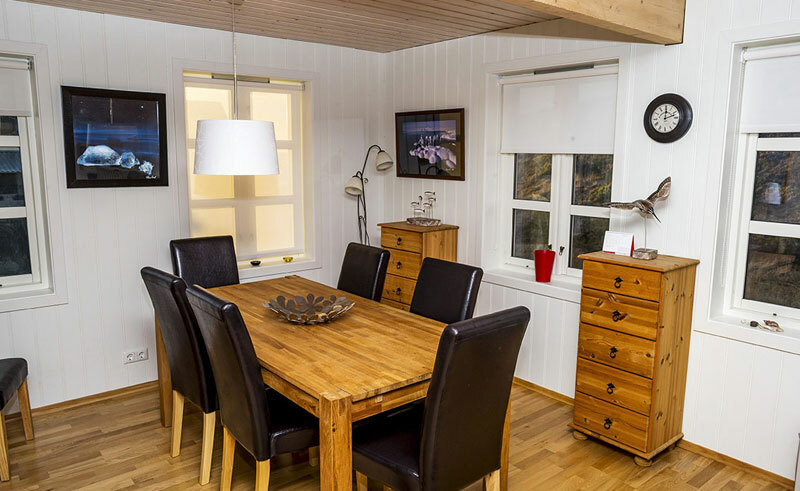 The region’s natural beauty is on your door step, with the striking sea stacks of Arnarstapi a short drive away. 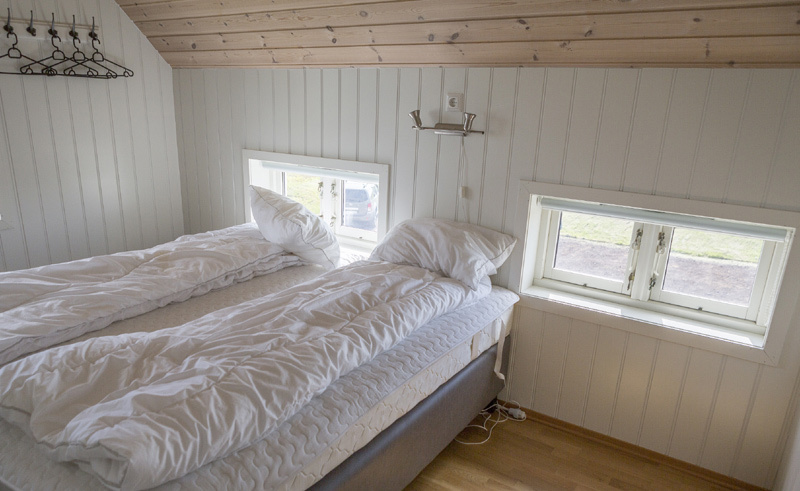 There are plenty of things to see and do, including a spider’s web of hiking trails, sailing excursions, glacier snowmobiling and whale and bird watching opportunities. 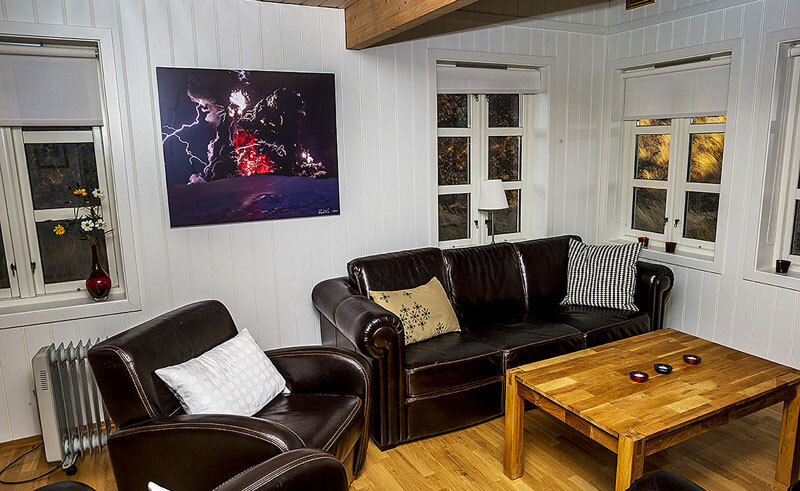 A south-facing property with a light, open plan design, the lodge sleeps up to 6 people in three bedrooms (one with a double bed and two with twins) and a fold out double sofa-bed located in the lounge. 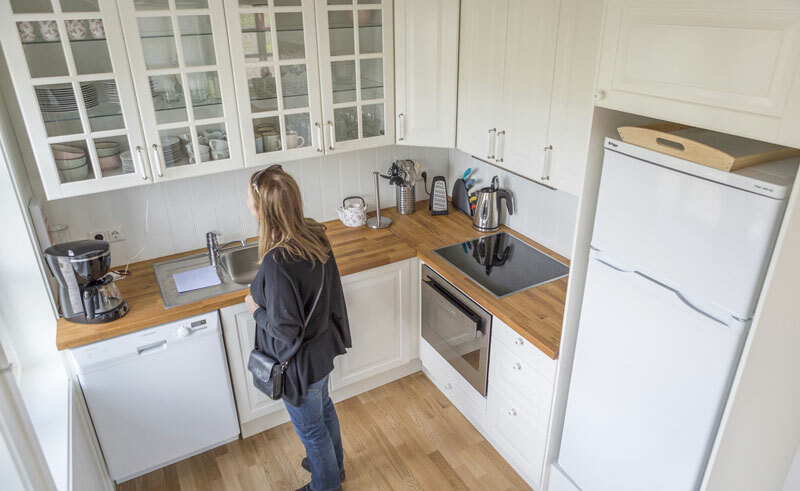 There is a fully equipped kitchen, plus a dining area. Please note: The shape of the lodge is such that it is necessary for the stairs between the two levels to ascend/descend steeply with a split step design. It is therefore not suitable for those with low levels of mobility or very young children. 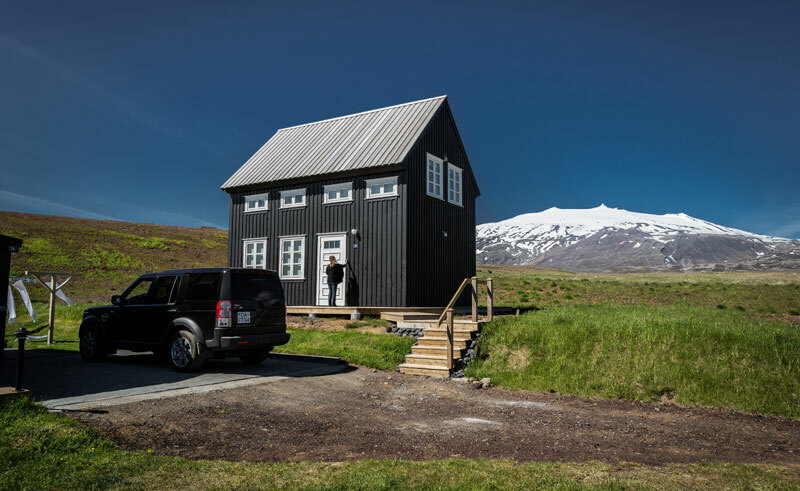 This fly drive on the Snaefellsnes Peninsula allows you to explore all Iceland's beautiful west.